Man Injured in Forest Ridge Apartment Shooting; Justice Available to Victim’s Family? Could This Augusta Apartment Shooting Have Been Prevented and Is Justice Available to the Victim? Gunfire reportedly erupted at the Forest Ridge apartment complex in Augusta Wednesday morning, April 25, 2018, leaving one man critically injured. 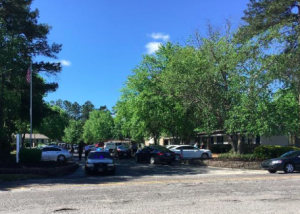 According to WRDW 12, the shooting occurred shortly after 9:30 a.m. at the “Forest Ridge Apartments off Mike Padgett Highway.” The victim was transported to the hospital with “life-threatening injuries.” His current condition has not been released. Police are allegedly still searching for two men seen leaving the scene, per Augusta Chronicle reports. Was negligent security a factor in this senseless shooting and could this incident have been prevented? Read Our Legal Take below to find out if the victim may have legal avenues for justice and claims for substantial compensation in Georgia. Have there been prior incidents of violence on or near property? What security measures, such as bright lighting, surveillance cameras and security patrols, were in place to protect the victim and deter crime at the time of the shooting?